A new Tex-Mex and Indian fusion spot has made its debut in the neighborhood. Located at 2838 S. Hwy 6. in Eldridge/West Oaks, the newcomer is called Twisted Turban. Indian cuisine may not be the most obvious choice to pair with Tex-Mex, but this newcomer is doing just that to "create delicious dishes from the best of both worlds." On the menu, expect to see Indian-influenced takes on Tex-Mex classics. 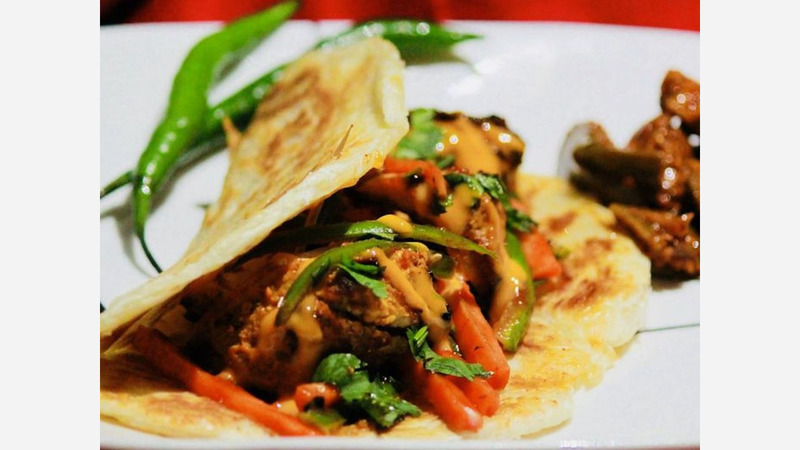 There are tacos, called "Twisted Tacos" with chicken boti, carrot slaw, tamarind chutney, and cool raita on a warm paratha (flatbread), while the "Turban Taco" brings together braised beef, mango salsa and drizzled in a "secret turban sauce." There are a la carte items as well, like chicken boti bites with mint cilantro chutney; tater tots covered in cheese with a choice of chicken or beef; and cheese nachos. Twisted Turban has already attracted fans thus far, with a five-star rating out of 10 reviews on Yelp. Sania S., who was among the first Yelpers to review the new spot on December 29th, said: "Amazing food, and has good spicy and non-spicy options! Desserts are yummy as well." Yelper Natalie C. added: "Really good food. Very spicy! I got the turban tacos with mango salsa and and the chicken boti." And Kazim M. said: "Great food and great customer service! Order the Turban burger...they cooked the beef perfectly. It came out a little late, but they gave me a complimentary dessert for it! Going to come back."